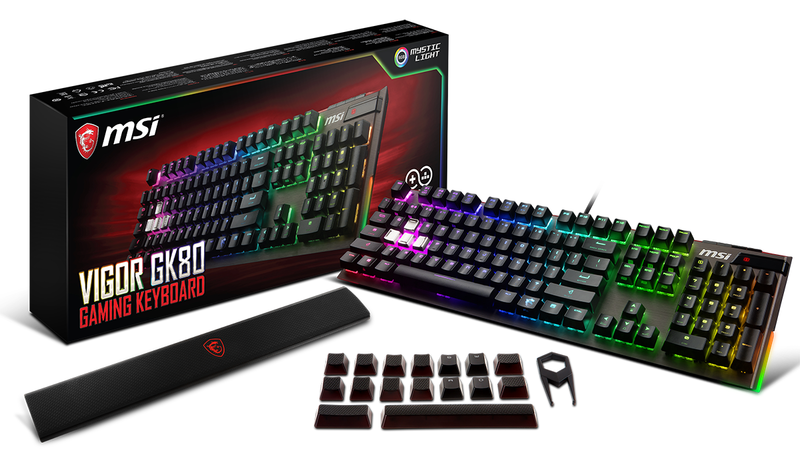 Our opinion of GK80 thus far is that is offers the core goodness of Cherry MX mechanical key switches but lacks refinement in certain areas. The same holds true for the bundled software, which while entirely optional - the keyboard works just fine as a plug and play solution - sees the available features split into two free-to-download apps. 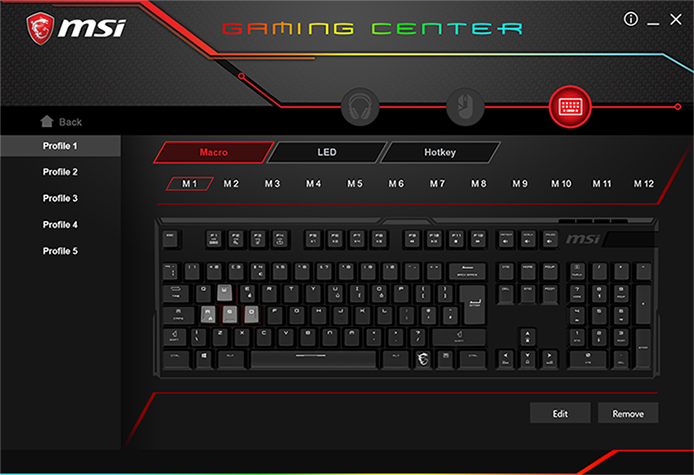 The first, Gaming Center, is used to manage the majority of keyboard functions. Suggesting that GK80 support is still relatively new, we initially had trouble updating firmware. Both the keyboard and LED controller required separate updates, and the latter would only complete after connecting GK80 to a different USB port on the host PC. 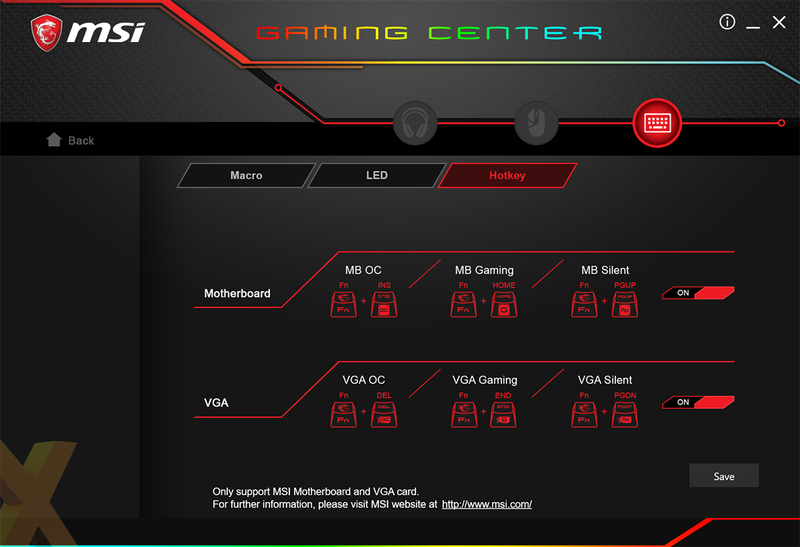 Once installed and up to date, Gaming Center looks a lot like an MSI BIOS, with large graphics resulting in a big interface full of unused space. 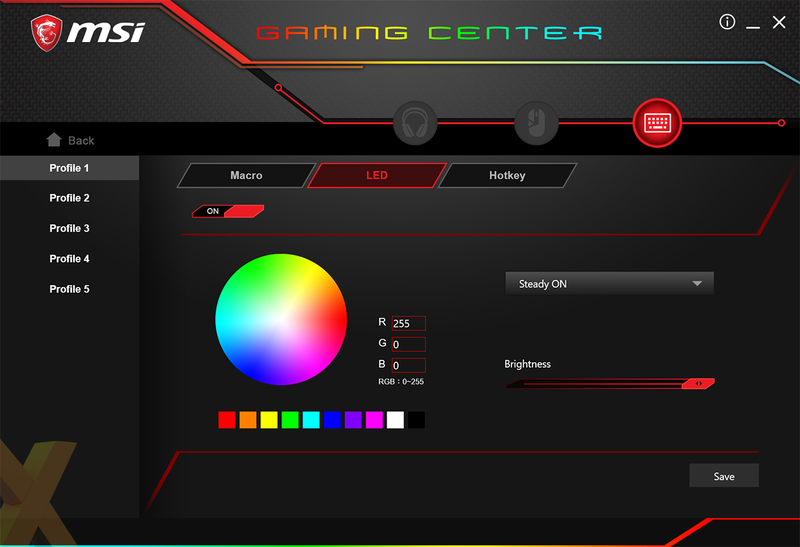 The first tab handles key assignments and macros stored using onboard memory, the second is where you can customise the RGB LEDs, while the third tab is dedicated to hotkey shortcuts for a compatible MSI motherboard or graphics card. 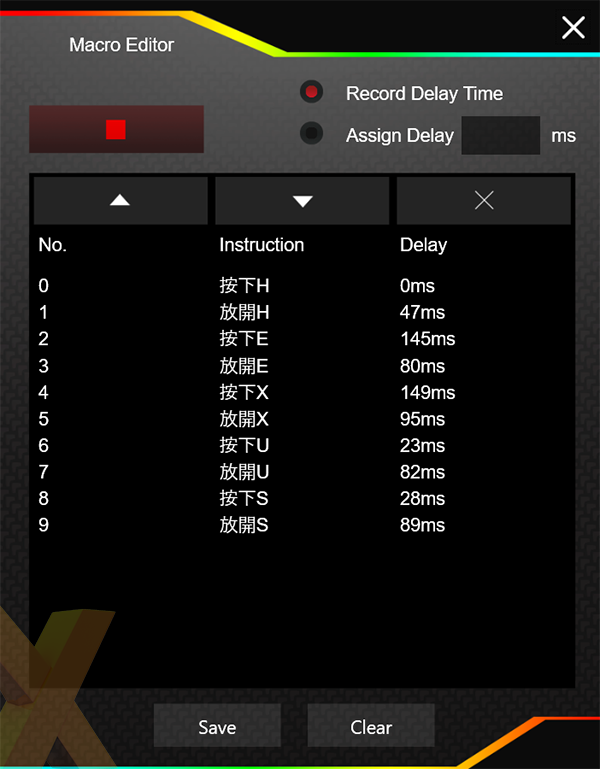 Gaming Center covers the essentials without excelling in any one area, and the appearance of other languages in the macro editor suggests there's development work still to be done. What if your primary buying decision is to extend your Mystic Light illumination? 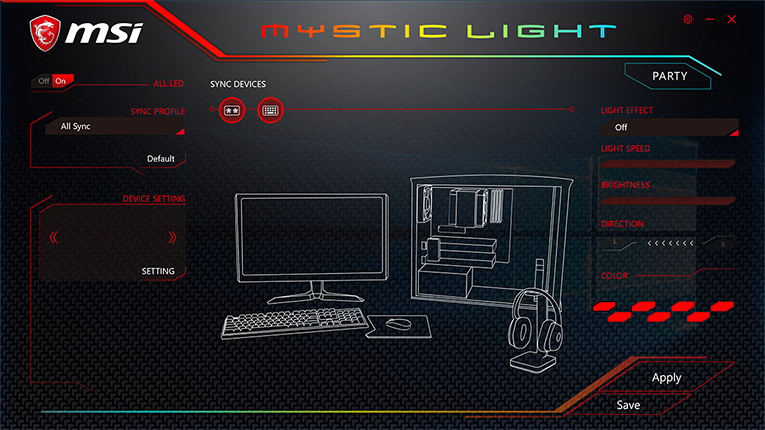 Gaming Center can't handle synchronisation between devices, so you'll need to download the standalone Mystic Light app. Unable to scale efficiently on our 4K monitor, the app takes up almost the entire screen with settings spread far and wide. It isn't particularly intuitive - some of the effects available to our MSI graphics card weren't applicable to the keyboard, and vice versa - and creating a balanced theme across multiple devices requires more patience than it should. ...plenty of manufacturers offer these core ingredients, and MSI hasn't quite managed to piece together an enticing array of unique extras. 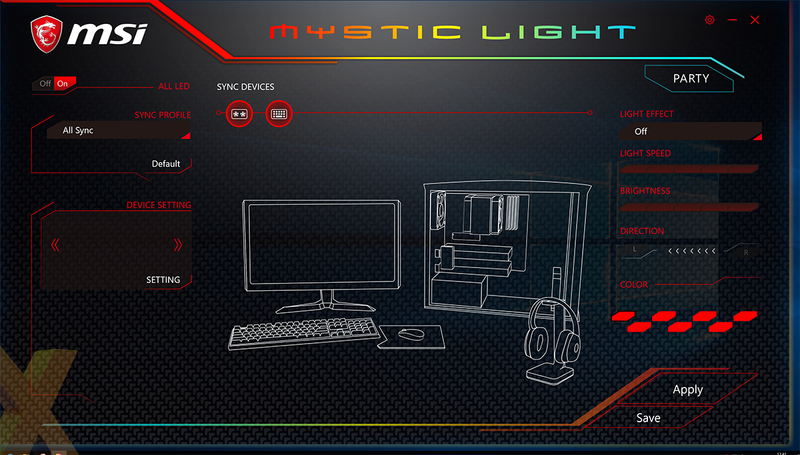 It is always nice to maintain continuity between components, and if you're a fan of MSI's hardware and Mystic Light effects, a matching peripheral or two from the company's arsenal seems a logical next move. 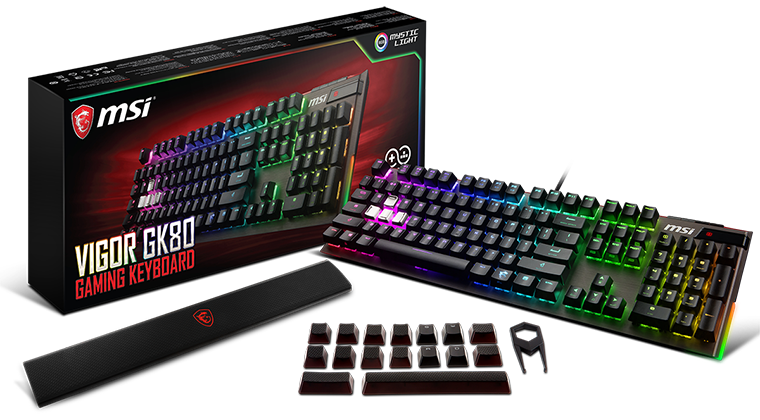 Designed to appeal to such consumers, the MSI Vigor GK80 gaming keyboard offers the true feel of a mechanical solution with Cherry MX Red switches, N-key rollover, Windows Lock and full RGB illumination that can synchronise with other Mystic Light equipment. Trouble is, plenty of manufacturers offer these core ingredients, and MSI hasn't quite managed to piece together an enticing array of unique extras. The keycap font isn't great and appears overly busy, the dedicated multimedia keys are frustratingly small, the palm rest doesn't attach and detailed customisation is reliant on two separate software utilities. Bottom line: Cherry MX switches and RGB lighting are no longer enough to constitute a great gaming keyboard. MSI has the essentials covered, but there's work to be done if it is to challenge the established competitors at this price point. 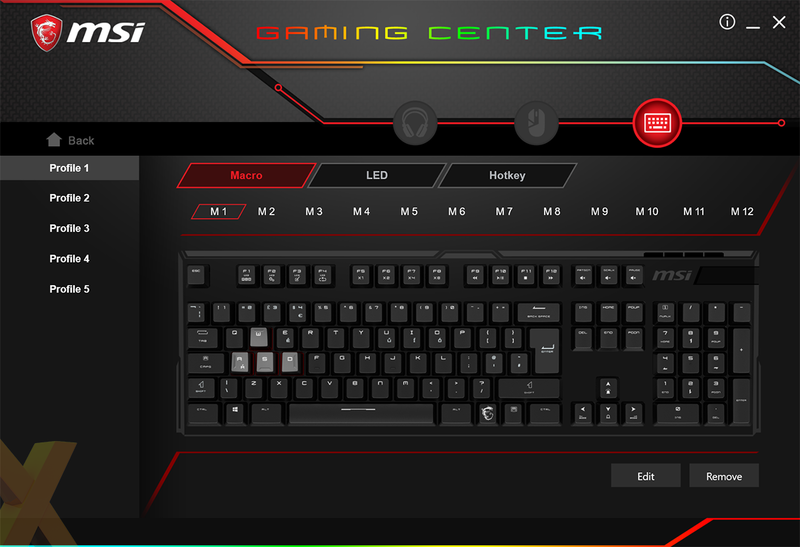 The MSI Vigor GK80 mechanical gaming keyboard is available to purchase from Scan Computers. IMO the price and USB 2 passthrough should also be listed under ‘The Bad’. I have the SteelSeries Apex M800, and while I like the keyboard a lot, it's also over priced and has USB 2 passthrough. Looks like a generic RGB mech keyboard, really…. Could even have a Corsair badge on it. There's a reason I still use my G19!! My Corsair K65 LUX is much nicer that this. less clutter and less RGB for the sake of it.